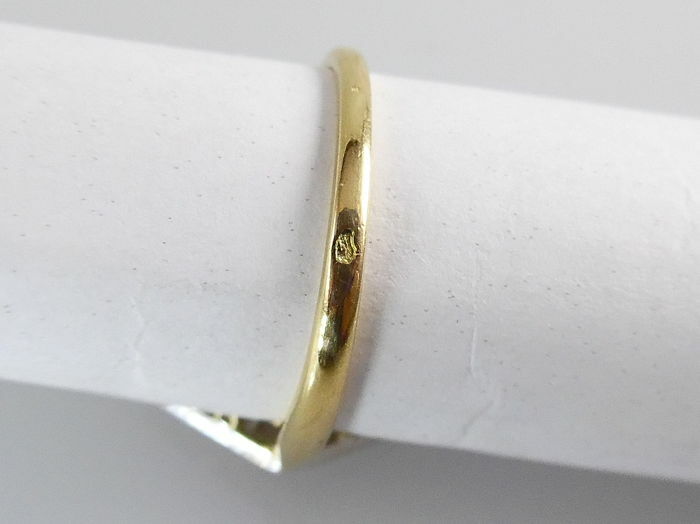 This yellow gold ring has a partly platinum crown of 14.1 x 9.3 mm. 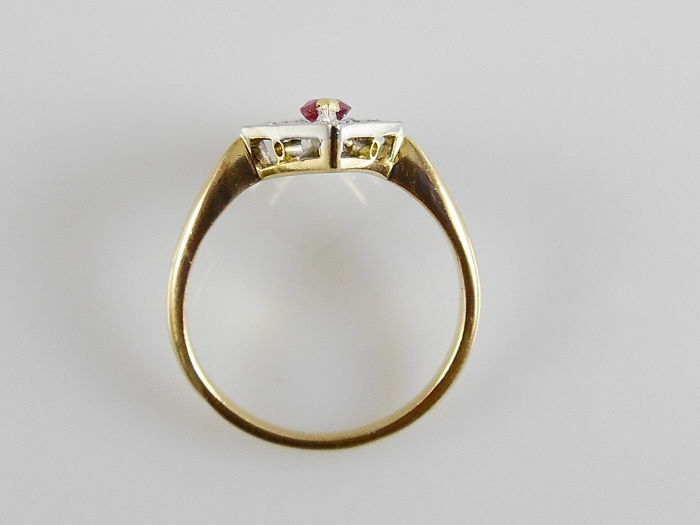 The ring is marked with the French hallmark for 18 kt gold. 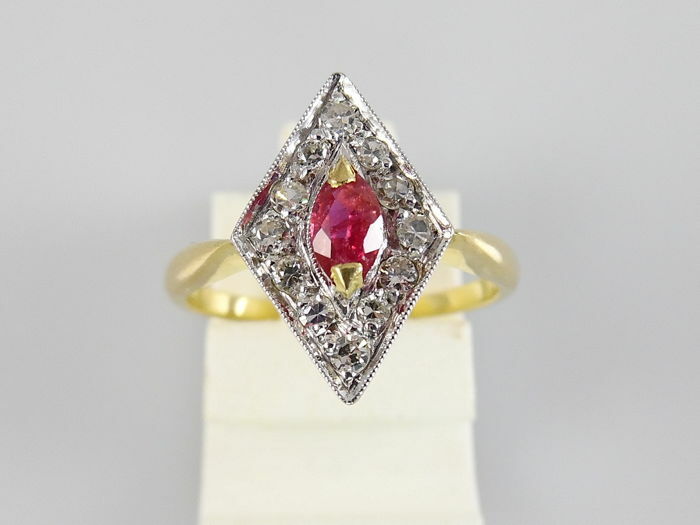 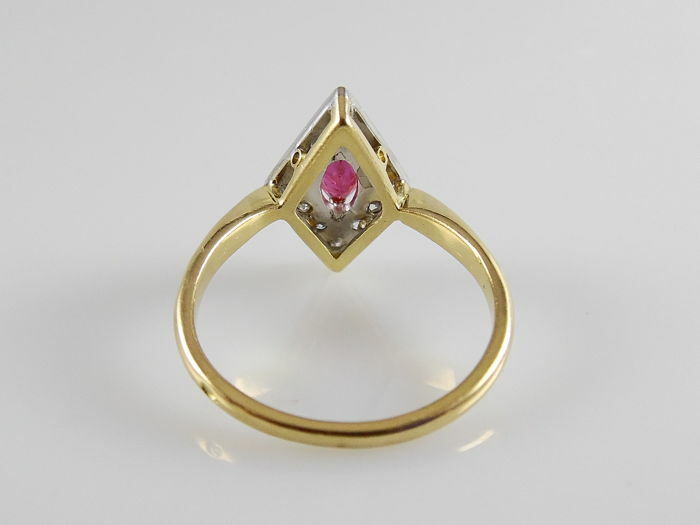 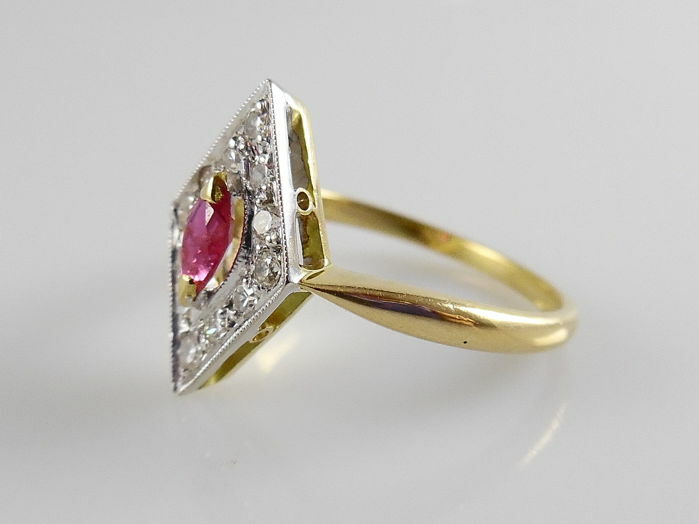 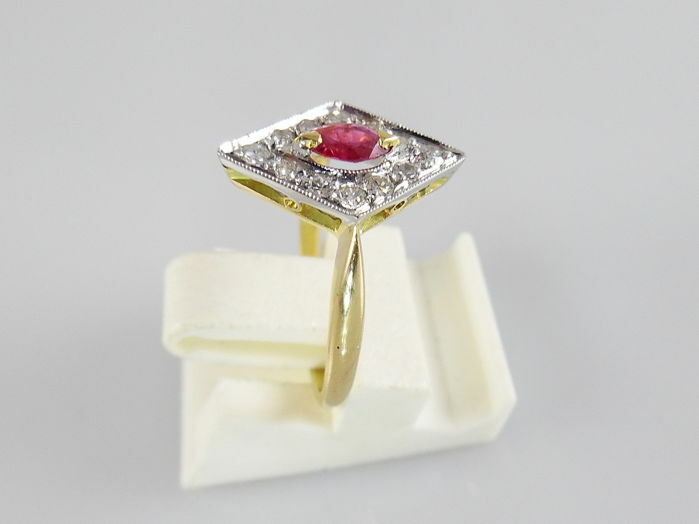 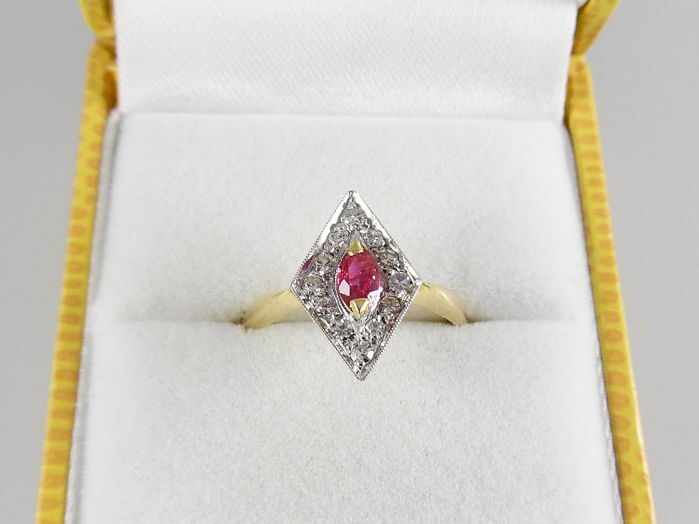 - an oval facet cut natural ruby of 4.9 x 3 mm, this is approx. 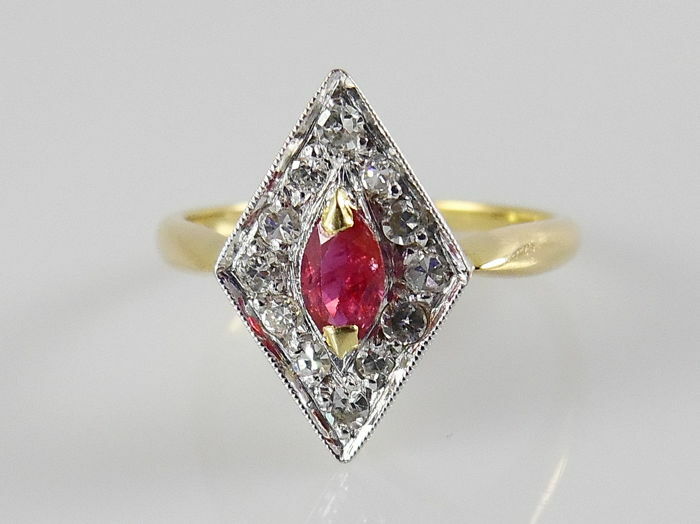 0.23 ct. Colour red.